Join us every Friday at Club TwentyTwo, the status symbol of the most exclusive parties on the Island, for Vertigo. Enjoy the twinkling view of Malta, while sipping on the finest cocktails and dancing to the best Commercial hits and House beats, played by our top local and international DJs, complimented by an array of vibrant entertainers and live performers! 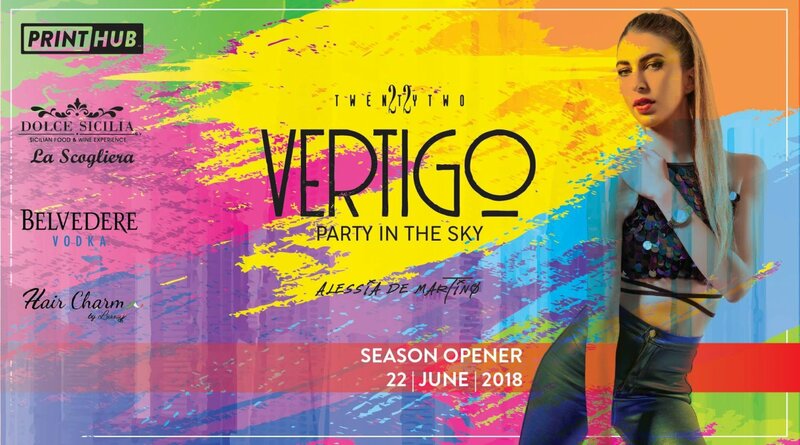 Vertigo's fridays are set to become your weekly Summer appointment. Let’s spin your head in the right direction. Sofa bookings start from € 250, inclusive of alcohol worth that price. Private message on the TwentyTwo facebook page.